The ‘wounded healer’ is making a comeback. Chiron is the name of an asteroid which is located between Uranus and Saturn and acts as a link between the Saturn representing the old and the Uranus representing the new. The Chiron symbol is very important. It resembles a key because it is so – a key to our very soul. Chiron combines the wisdom and responsibilities of Saturn with the liberating drive of Uranus – a combination necessary to bring a spiritual expansiveness in ourselves. Now, why is Chiron referred to as the ‘wounded healer’? 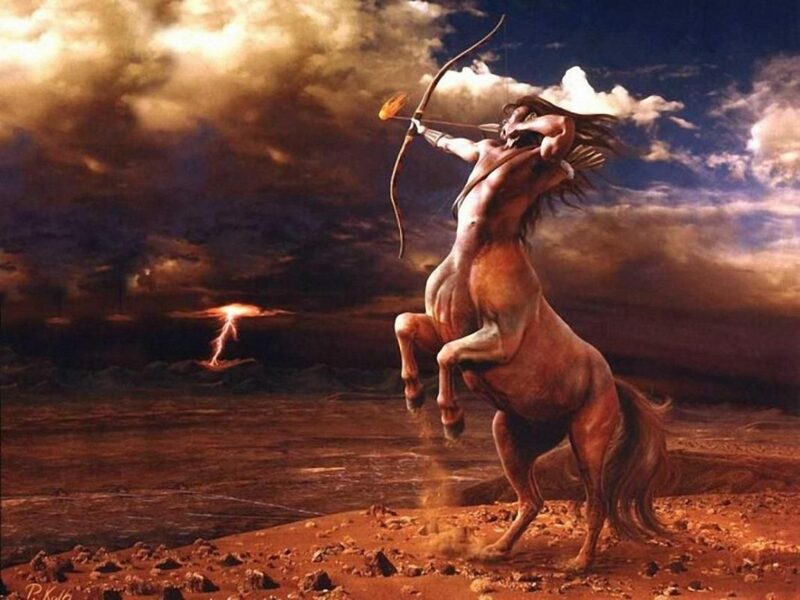 Chiron, in Greek mythology, was a centaur. He was wounded but that did not really put him off. He was able to transform his wounds and make them his strong points. Eventually, he used his wounds to heal others. When we are talking about astrology, Chiron affects us when we are in the age of 49-51. During this age, we experience the Chiron Return. It is the age when the wounded healer makes a comeback to the same place where it had been during the day of our birth. When Chiron arrives at this position, it represents that Chiron has completed a journey and is preparing for a new one. And from this journey, we can learn many things. At the age of 49-51, we are no longer bounded by our insecurities or our past wounds. We can understand where they are and what caused them, but now, we have the power to transform them into our strengths. We can use our wounds to heal ourselves and heal others as well. For Chiron, our wounds are not a sign of weakness. It can be our strength if we really think about it. But for this knowledge, Chiron must make the journey and come back to its place. Chiron Return is the point when this wisdom dawns on us. We have all experienced some kind of heartbreak or loss – so much pain which at one point seemed unbearable. But we survived. We made ourselves vulnerable and were slashed. But the wound, despite being painful, opened us up to new experiences. It brought a new realization that we did not have before. And when we are at the age of 49-51, we enter that stage when these realizations culminate and show us that the wounds are actually pools of knowledge – stepping stones for our growth. We have been tested before and we have passed – now, it is time to draw the wisdom from these tests and also impart this wisdom on others. As human beings, we generally stay away from suffering and pain. Who would want to suffer? It’s a terrible experience for us and it is supposed to be bad for our soul. But that is the wrong conclusion that we draw. Our soul is not meant to be nurtured only by positivity. It is meant to be shaped and transformed. Suffering is the chisel that whittles and carves the soul into its highest form. Suffering is the path through which our soul awakens and brings a new light into our lives. And Chiron is actually the key that brings this important transformation. When Chiron Return takes place, we learn to accept ourselves with our wounds. They become gifts that we learn to cherish. We may go through certain events that might trigger transformative healing. We will be armed with the power of mending our own wounds and pushing through all the obstacles present in our lives to become a new ‘Us’. We will reach a level of awakening – a whole new level of acceptance. The journey of Chiron is spiritual and so, when Chiron Return takes place, it will bring you to a level of higher consciousness. You will find new strength and power to heal, to be able to forgive and to love others. Our baggage will no longer seem like baggage but rather, it will appear as episodes from our past. In a book, the struggles of a protagonist are shown in the early chapters while the resolution and transformation of the character take place as we move to the end. Chiron Return brings that resolution to us. But no, it doesn’t ‘resolve’ anything. Chiron is not about fixing ourselves – it is more about loving ourselves as who we are, with or without scars. The Chiron Return will continue to last for almost two years and it will bring a phase of acceptance in our lives. Don’t hold back. What Are The Differences Between Wicca And Shamanism?